Natikaji Biography From this video you will definately learn how to be a successfull person in your life. 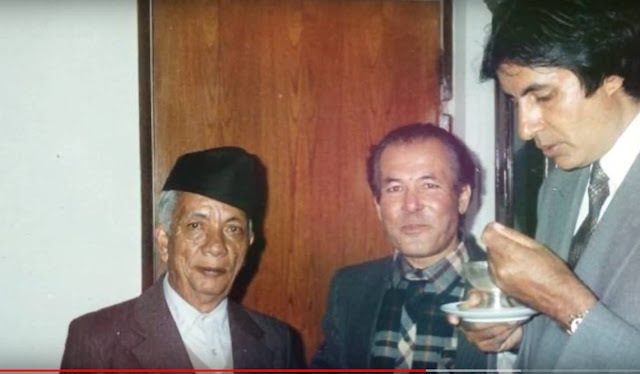 Natikaji could become inspirational character for all Nepali and entire world Nati kaji was a nickname given to Amrit Lal Shrestha by his grandparents, and became the name he is known by throughout the country. He was born in 1925 at Pulchowk, Lalitpur. He lost his mother at the age of 5 and his father at the age of 10 and so was raised by his grandparents at Gujeshwori where his grandfather was the temple priest. In 2007 Natikaji went to Radio Nepal by singing and in 2008 Baisakh, 15 he was appointed in Radio Nepal. At the time of developing his career his love was separated from him. Natikaji used to write songs and even used to sing. He was able to record around 200 songs in his name. After 2016 and 2017 he left to sing and started his career to give music to songs. Natikaji was the milestone to bring up music of Nepal from Radio Nepal. At the time when entered to Radio Nepal there were no Nepali songs all the sings were from indian Music industry translated in nepali version and were sang by singers. He completed his SLC. After that he went to Tri-Chandra Campus to study I. A. but due to his family responsibility he left his study in the middle and started to give education in singing to other students. He suffered from Heart disease and Neuro for long time and Natikaji died on 2 November 2003 A.D. In nepali Date he was died in 2060 B.S. Kartik, 16.